Fire retardants. When I started reading up on them, it was during my research into mattresses and bedding. Fire retardants came into being when our society was a heavily smoking society, and people smoked all over the place. It was absolutely mind-boggling to find out that baby mattresses and kids pajamas are laced with fire retardants – presumably to protect them in case of fire – but how often does a fire happen? (I’m also just imagining moms and dads smoking while rocking their babies to sleep – I don’t know about you, but I have never seen that happen in this decade!) So in protecting our kids from a fire that may or may not happen, we are instead exposing them daily to these toxic fire retardants! Agh! 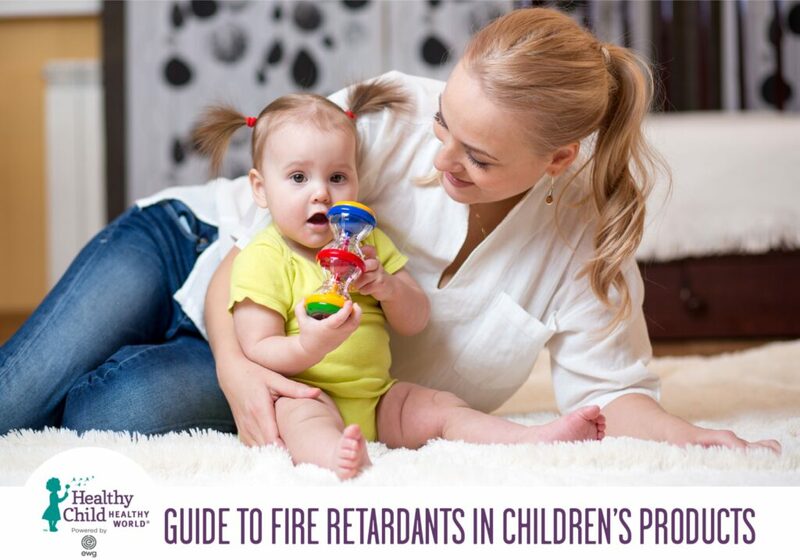 Thankfully, Healthy Child Healthy World has put together an easy resource: Guide to Fire Retardants in Children’s Products. This short guide summarizes the information really well, and provides easy ways for parents to reduce their kids’ exposure. A 2014 study by EWG and Duke University found that every mother and child tested showed evidence of exposure to a cancer-causing fire retardant; on average, the children had five times greater exposure than the mothers. Just think about our babies and kids touching toys and furniture and car seats – and putting their hands in their mouths! Change pads, nursing pillows, anything with padding, are all made from polyurethane foam which off-gasses cancer-causing toxins. It can seem daunting, but this resource is a great start. To find out how your baby gear rates in terms of fire retardants and toxins, search for them in databases. Children’s pajamas are another culprit for fire retardants, but there are lots of alternatives without them. My favourites can be found at the online store Underables (they have awesome pjs for adults too!). What is one way you can avoid fire retardants? Why are Air Fresheners Toxic?